I have an abnormally large laundry room. So it quadruples as a laundry room, craft room, storage room, and puppy room. Wes bought IKEA storage bins for the shelves. And I recycled other furniture and storage that I already had for the rest of the laundry room. 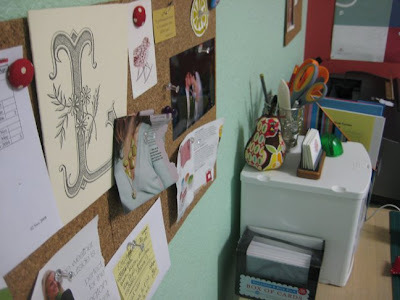 I bought cork squares to act as smaller bulletin boards, since I didn't have one large space for a bulletin board. And I love covering plain, brown cardboard magazine holders with scrapbook paper to spiff them up. 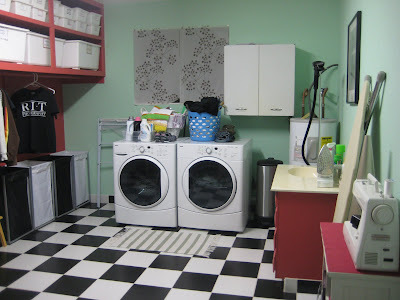 Here's how the newly re-organized room looks: (I left my laundry out on the machines because this is a laundry room, and I was doing actual laundry that day. I think a room can be clean and organized, and still be "in use." 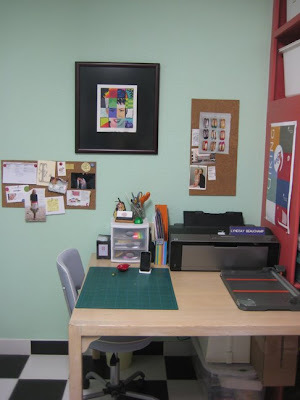 I plan to do a series of posts about other moms and their home-keeping secrets. But before I jump into that series, I want to pose a question/post a poll. How many of you out there utilize outside help to clean your home and keep it in order? I'm telling you right now—If I could afford to hire someone to come clean my house every week, I would be all over that! I am actually thinking of using some of my banner-making income to go towards a little house-spiffing help once the baby arrives. And I am curious to know how many moms out there either do all of their own housekeeping, do some of it, or have someone else help primarily helping them out in that area. So visit my sidebar and vote! • Woolite detergent—not only for delicates anymore, and available for darks! 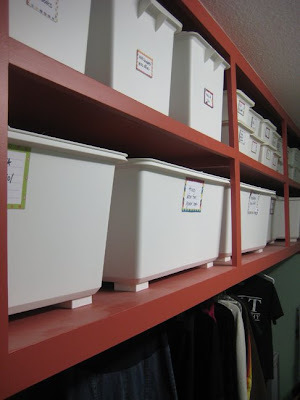 My good friend Reachel over at Cardigan Empire has a post up today about closet organization. Guess what my next project is?! My closet! Check out her wonderful blog HERE. what a pretty and functional room. i love it. When I saw the first picture (without reading anything yet) I wondered what magazine this picture came from! Seriously, picture perfect room. I don't hire out my cleaning and I don't think I would if I could afford it either. I like to do it myself and love how I feel when I accomplish it. My house is never all clean at the same time. My huge hang up is the laundry. I would scrub toilets and dishes all day long if the laundry would disappear! No outside help, although I would love it once a month. I use advantage cleaner, door to door people. it works great. I use it on everything. I dilute it for things like windows and mirrors. What a great room! You did a really good job making it cute. I like that Advantage cleaner that Nash mentioned- I need to order some more. For a while my mother in law sent her cleaning girl over a few times a month "to help her out" and it was AWESOME. Too bad the economy went bad, I miss her! If I could afford it I would totally hire someone at least twice a month- I really don't like cleaning. I want a laundry room like that! I do all my own housekeeping, and wish I could afford to hire some help. I even take all my trash/recycling to the transfer station once a week. We don't have town trash pick-up, so you either have to hire a private pick-up company, or do it yourself. We hired merry maids when I was on bed rest with Luke to come in and clean the house once. Expensive, mostly because we were only doing a one time service, not an on-going contract. I do hire a gardener, so that my husband and I have more time to spend with our family. We have over 2 acres of grass! If I had all the money in the world I would hire someone to clean my home too. It all boils down to more time with your family and a nice environment for that time to be spent. Your laundry room is divine. Style and function at it's finest. 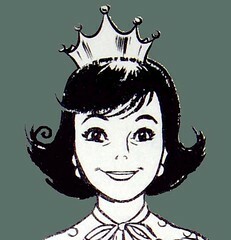 Ok...so I'm the princess. But we have had the same girl for 6 years and because I have referred her to so many...my cleaning bill is only $40 a week. I sometimes think I should probably only have her come every other week...but then I would have to mop my floors. My hubby says that it is the best $40 we spend. My children are responsible for having their rooms completely picked up for Marissa before she comes and if they don't then the door gets closed and they are completely responsible on Saturday morning before cartoons to pick up, dust and vacuum their own room. I do change all my own bedding, do all my laundry and ironing and I will sweep/vacuum the hardwood if it needs it in between...but I never dust! Having her come weekly also helps me keep my home essentially clutter free. I can't stand piles or clutter. And P.S. You do have an unusually large laundry room. I would love to have my sewing machine out somewhere permanent. i am fortunate to have someone come to our house every 2 weeks to deep clean. however i am somewhat of a clean/organizational freak and do my own cleaning every once in awhile...usually if i am aggravated about something and need an outlet. i can't say enough how nice it is to walk in your home once it has been cleaned and know you now have more time to spend with your family. 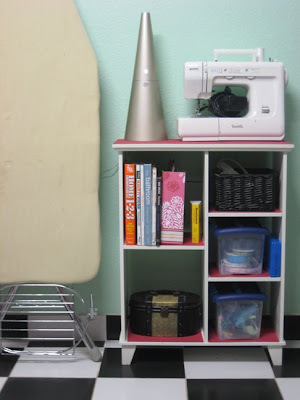 enjoy your newly organized laundry room! ps...isn't the swiffer sweeper simply divine? ?